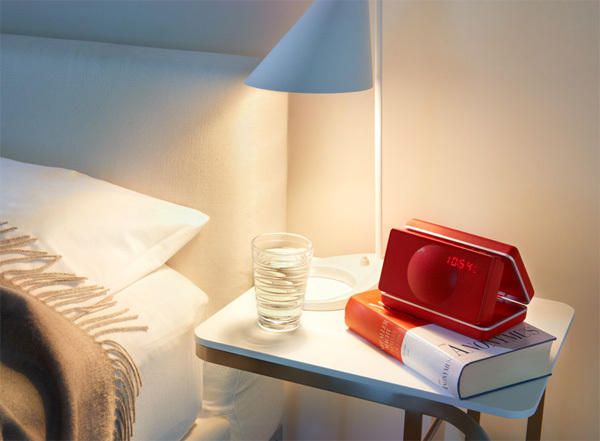 Geneva Lab has just revealed their new Sound System XS, a portable/travel-sized speaker that looks like a retro clamshell alarm clock. 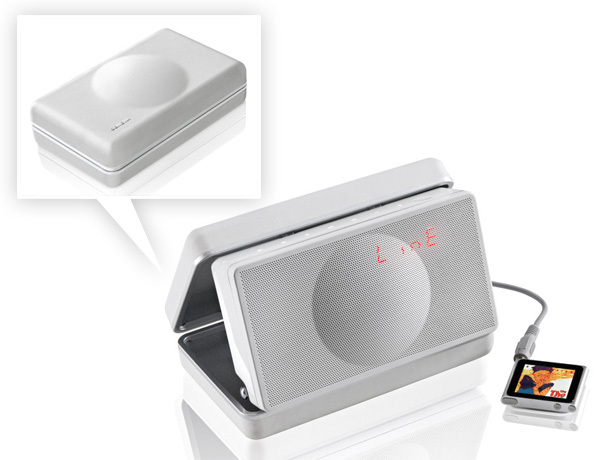 This little guy is Bluetooth-compatible, so you’ll be able to send your tunes to it wirelessly. 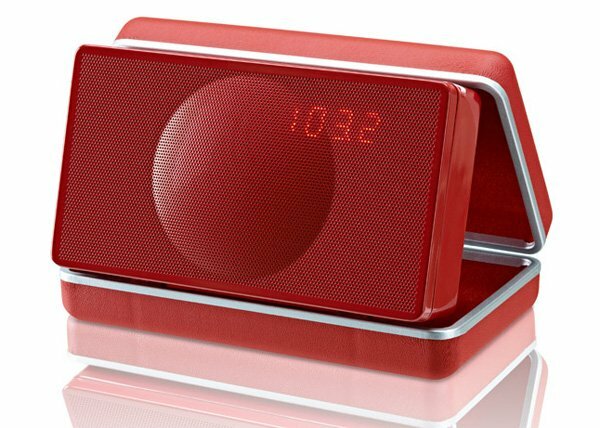 The XS is also an FM radio and an alarm clock. The 2.1 speaker system has two 1″ tweeters and a 2¼” woofer, which is pretty good for a device of its size. The battery is rechargeable, and you’ll get 5 hours of play time. If your media player doesn’t support Bluetooth or you just don’t want to waste battery, the XS also has a 3.5mm audio jack. It weighs 1.1 pounds and measures 6.2″×4″×4.5″. 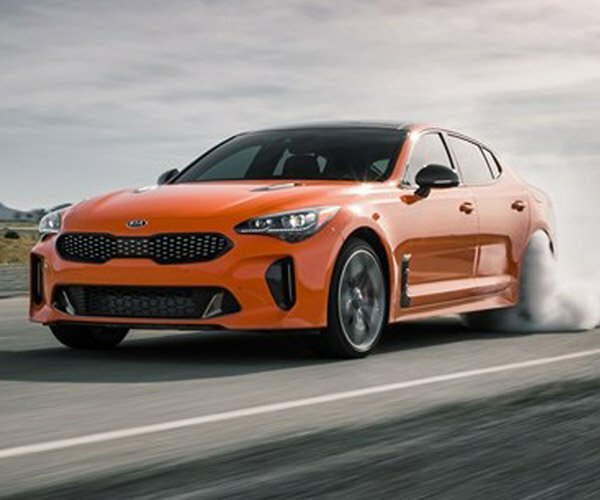 The best part is the discrete LED display that shines through the speaker grille, along with the touch sensitive controls. 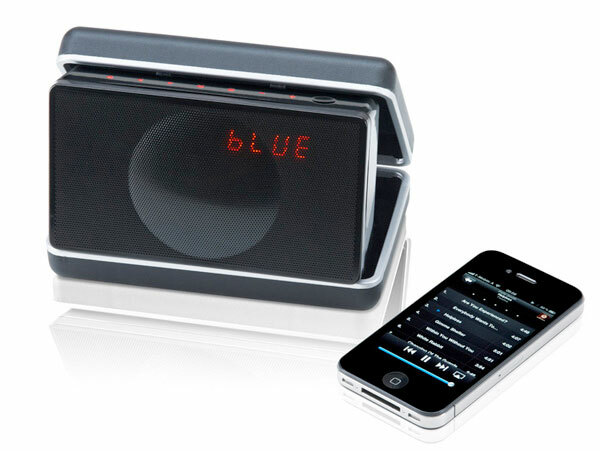 It will sell for $250 and is available for pre-order directly from Geneva Lab in black, white or red.